Home Business InnoTrans 2018 Outdoor Display: What to expect? InnoTrans 2018 Outdoor Display: What to expect? The Outdoor Display at InnoTrans 2018, which will include around 3,500 metres of track, will feature more than 150 vehicles ranging from regional passenger trains to on-track plant. Here are a few of the potential highlights to look out for at this year’s show. 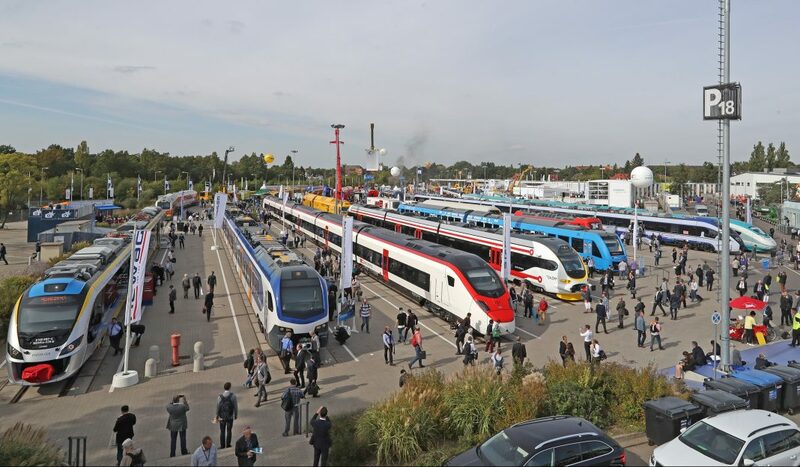 Appearing at the exhibition for the first time since the agreed merger of Alstom and Siemens’ rail businesses, the French manufacturer will have two rail vehicles on show in the Outdoor Display area. The Coradia Stream is Alstom’s latest regional and intercity train platform for the European market. Alstom is presenting a single-deck version known as the Pop that it is building for Italy’s Trenitalia. The modular design gives customers the option to customise the number of cars, modular traction system and interior layouts. The lightweight trains have aluminium body shells. The regional model is designed to have a maximum speed of 160 km/h while the intercity variant will be capable of speeds of 200 km/h. The Prima H4 is described as an “eco-friendly” locomotive, with bi-mode, bi-mode battery or hybrid options available. On show at InnoTrans 2018 will be one of the 47 bi-mode locomotives ordered by SBB Infra, which are due to go into operation in 2019. The Prima H4 boasts a BoBo axle arrangement, power at wheel rim up to 2 MW, a tractive effort of 300 kN, and it can operate at speeds of up to 120 km/h. More than 2,800 Prima locomotives have been sold around the world in the past 10 years. 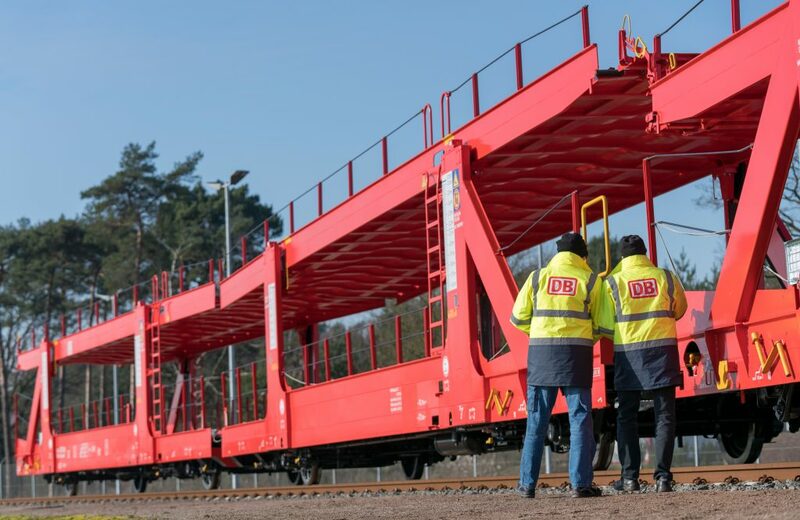 Germany’s Federal Ministry of Transport and Digital Infrastructure (BMVI), DB Cargo and VTG are leading a project called Innovative Freight Wagon to develop innovative new technologies for the sector. Four prototype wagons developed by the consortium have been on test since March, trialling lightweight components to reduce both energy consumption and noise, and utilising new digital systems to optimise handling. Deutsche Bahn (DB) said the results to date had been ‘very promising’ in a press release announcing that half of the 150,000 test kilometres had been completed. The prototypes are based on four common wagon types: a 6-axle flat car; a two-way, open car transport wagon; a four-axle tank car; and an 80′ container wagon. CRRC is presenting its “New Generation Metros” this year which, the manufacturer says, are high-speed, environmentally friendly, intelligent and efficient. According to CRRC’s promotional material, the platform has a design speed of up to 140 km/h and can be supplied in a variety of formations. The car bodies are made from a carbon fibre composite, making them strong and lightweight. Other features include a silicon carbide permanent magnetic traction system, active radial and fully active suspension system bogies, an intelligent passenger interface and O&M monitoring. Hitachi will be presenting one of its own masterpieces at this year’s exhibition. Caravaggio is one of the high-capacity, double-deck EMUs Hitachi is supplying to Italy’s national train operator, Trenitalia. In 2016, Hitachi Rail Italy won a framework deal worth €2.6 billion for the supply of up to 300 double-deck trains. The initial order was for 39 five-car units. The Caravaggio EMUs, which will have a total capacity of 656 and a maximum operating speed of 160 km/h, will be manufactured at sites in Pistoia, Naples and Reggio Calabria. Polish manufacturer Newag will be displaying its range of Impuls EMUs and 222M DMUs as well as promoting its locomotive modernisation service. The company will be promoting the accessibility credentials of its modern, low-floor EMU platform, which can be supplied as two, three, four or six-car vehicles. Newag said the bogies have a modern gear system and a two-stage spring suspen­sion system to reduce vibration. Visitors will be able to explore Newag’s two-car 222M DMU – the first of which was manu­fac­tu­red for regional operator Koleje Mazowieckie. The DMUs comply with the Stage IIIB exhaust gas emis­sion stan­dards and have a maximum operating speed of 130 km/h. Due to be delivered to ÖBB in 2019, one of the new Bombardier-built Talent 3 Cityjet EMUs will occupy one of the tracks this year. The six-car, 100-metre long train is the only Bombardier vehicle in the outdoor exhibition this year. Ahead of their entry into passenger service next year, Siemens is presenting its Sofia Metro Inspiro. 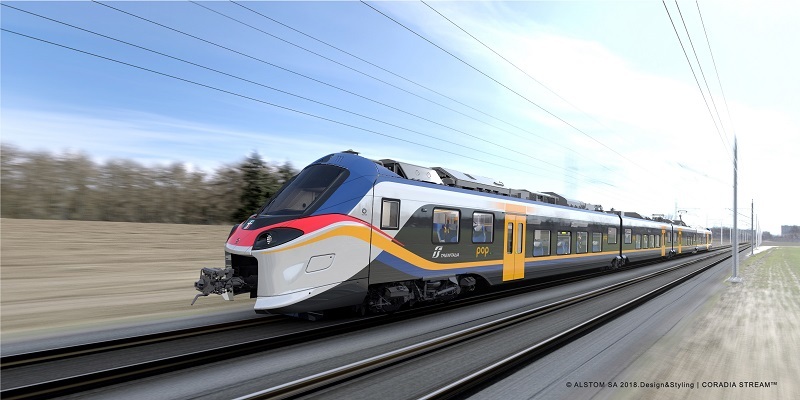 Siemens is delivering the fleet for the Bulgarian capital’s brand new Line 3 alongside project partner Newag. The line includes a SCADA power control system, platform screen doors and Siemens’ Trainguard MT CBTC solution. Siemens and Newag are building 20 trains for the line. Each will have the capacity to transport more than 600 passengers at a maximum speed of 80 km/h. One of the fascinating features of the new RRX Desiro fleet is that their large windows are the world’s first to integrate a high-frequency solution which boosts mobile phone reception by up to 500 times its original strength. The €1.7 billion order was described by Siemens as the biggest in the company’s history when it was announced in 2015. The first of the 82 train sets will go into service this year. The latest Desiro City unit for the British market will be part of Siemens’ InnoTrans fleet. The first of 25 trains being supplied to Govia Thameslink Railway (GTR) will begin operating Great Northern services by the end of this year. An interesting feature of the Desiro City Moorgate EMUs are cab-end doors, which are designed to provide emergency egress in tunnelled sections. Winner of a prestigious Red Dot design award, Ulm’s new Line 2 trams are specifically designed to suit the city’s steep grades. Ulm’s municipal utility has ordered 12 Avenio M trams for the city. The multi-articulated vehicles are fitted with Siemens Tram Assistant collision warning system. Siemens will return to the Messe Berlin exhibition centre in September with one of its most successful locomotive products: the Vectron. More than 700 Vectron locomotives have been sold around the world, operating extensively throughout Europe. Visitors to InnoTrans 2018 will be able to get close to one of the multi-system models being supplied to Austria’s ÖBB. Siemens will also use this year’s show to launch its new Vectron Dual Mode too. The Vectron won’t be the only locomotive product from Siemens this year. 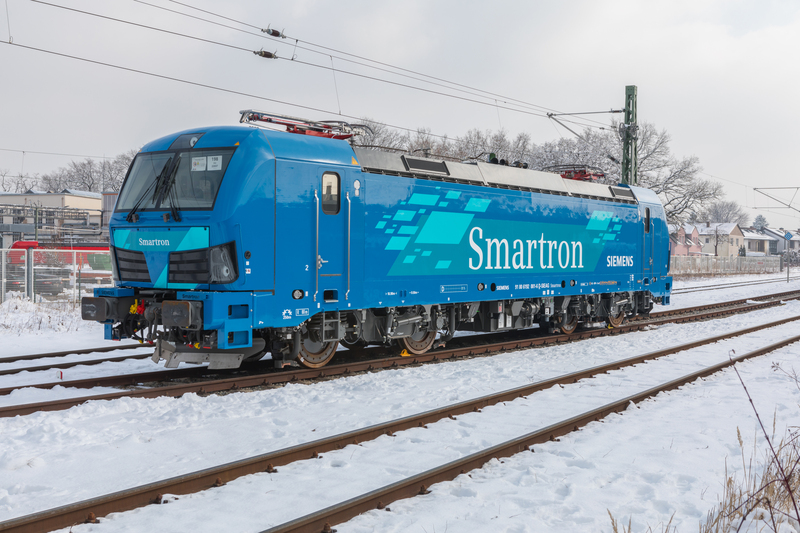 Smartron is a new standardised locomotive product platform for the German freight market. Siemens announced in June that Eisenbahngesellschaft Potsdam mbH (EGP) had ordered the first three Smartron locomotives. Škoda Transportation is supplying push-pull units for Deutsche Bahn’s Nuremberg-Ingolstadt-Munich line. The trains consist of a driving car, four intermediate cars, an end car and an Emil Zátopek electric locomotive. Although this particular unit is designed for a maximum speed of 200 km/h, the pressure-tight vehicle body design enable the carriages to run through tunnels at up to 300 km/h. The low-floor ForCity Classic Chemnitz trams are constructed from stainless steel body shells sat atop axleless wheelsets, with the wheels driven by gearless traction motors. Trial operation of the first tram will begin this summer and the new fleet is due to be in service next year. The bi-directional, five-car trams can accommodate 64 seated passengers and 135 standing. Each car includes space for up to four wheelchairs or prams. The first completed half train of the new Berlin S-Bahn fleet will be one of the star turns at its hometown show. 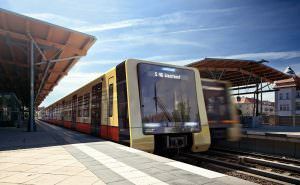 A rendering of one of the new S-Bahn trains. Photo: Stadler Pankow GmbH/ Büro+staubach Berlin. In 2015, a Siemens/Stadler consortium was awarded the contract to supply 106 trains for the Berlin S-Bahn. Production is now underway and, from 2021, the new trains will be in service on the Ringbahn and southeastern branches of the Berlin S-Bahn network. Built at the Stadler factory in Berlin-Pankow, they have been described as a train from Berlin for Berlin. Stadler will be presenting one of the 10 Eurodual locomotives it is supplying for Havelländische Eisenbahn (HVLE). HVLE is the first company to order the bi-mode, six-axle variant. 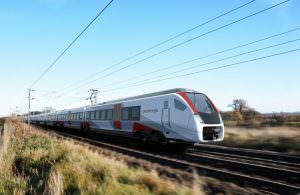 Stadler expects to start delivery in 2020. 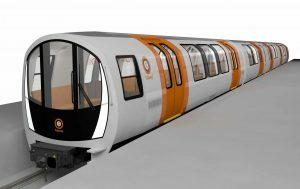 A first for Stadler, the new narrow-gauge vehicles it is building together with Ansaldo STS for the Glasgow Subway are the first trains the company has ever supplied for a driverless underground metro system. The Glasgow Subway network has presented various design constraints for Stadler. It has a track gauge of 1,219 mm and its tunnels are just 3.4 metres in diameter (compared to the 6.2 metre Crossrail tunnels). The new trains are set to enter passenger service in 2020. Switzerland’s Schweizerische Südostbahn (SOB) has ordered 11 Traverso EMUs from Stadler which it will use to operate long-distance services in partnership with Swiss Federal Railways (SBB) from 2020. The Traverso design includes an aerodynamic front end and will have a maximum speed of 160 km/h. 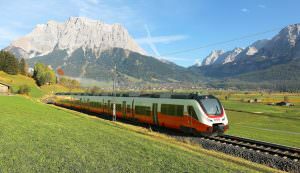 The new units will replace SOB’s older vehicles and will also be used to operate services from Basel to Zurich as well as services along the Gotthard route to Ticino. 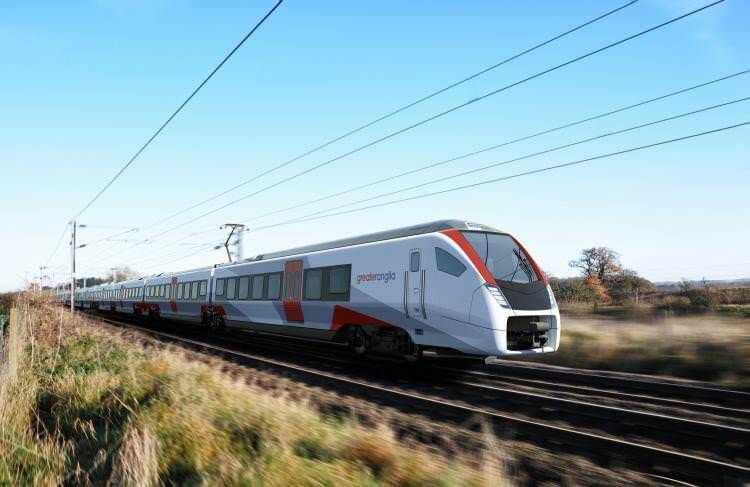 Greater Anglia has ordered 14 three-car and 24 four-car bi-mode plus 20 12-car electric Flirts to replace its existing regional, intercity, and Stansted Express trains. Deliveries are due to begin next year. It will be the first time Stadler has displayed a bi-mode Flirt (BMU) at InnoTrans. Swedish rolling stock leasing company Transitio has ordered 33 double-deck, electric multiple units for Mälab to operate in the Lake Malar region to the west of Stockholm. The contract includes an option for an additional 110 trains. The four-car trains have been designed specifically for the challenging Nordic weather conditions. They will be able to operate at temperatures of minus 40 degrees and run through up to 800 millimetres of snow. Stadler is developing this innovative metre-gauge train for regional transport operator Regionalverkehr Bern-Solothurn (RBS). RBS has ordered 14 four-car trains for line S7 from Berne to Worb. The trains, which have a 100 km/h maximum operating speed, will enter service by the end of 2018. More information and updates about this year’s Outdoor Display can be found on the InnoTrans website.